Here is an amazing set of postcards and photos of various Danish royals for your enjoyment. 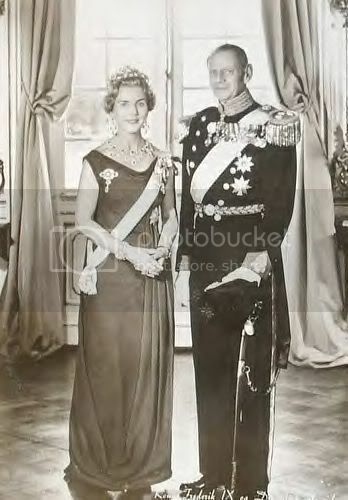 Some of the images are quite rare while others are somewhat familiar such as this image of the late reigning couple, Queen Ingrid and King Frederik IX of Denmark. Thank you for that link. Some amazing photos, they certainly don't take them like that any more. I love the image of King Christian X on horseback. 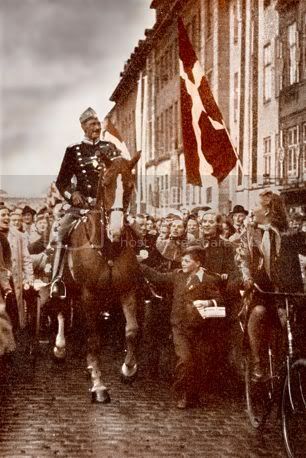 The stories of him during WWII... riding in the streets of Copenhagen reassuring the people that he was still with them and essentially thumbing his nose at the Nazis and Hitler... you gotta love it. And two more sets of Danish royals from the past as well as other royal ladies. This collection is a real gem as well as this one. *Images courtesy of booboogbs via Flickr and gogm1 via webshots. Thank you very much. pity some of them does not work and I can not see it! the ones I could see it are stunning! thank you! I have one postcard that a friend of mine send me for my birthday but it is before Fred met Mary so I have Alexnadra there, it is any our there with Fred and Mary? I would love to have one! I am notsure if I could post the one I have , I would scane it and try to post it! I would love to have some of them can i buy it in the internet? I don't know, perhaps ebay?